Subscribe to be informed of future pairings. The high energy color Fiesta is a harbinger of excitement, encouraging free-spirited exploration to unknown but welcoming locales. A strong and fiery, yellow-based Red, the vivid Fiesta provides a stark contrast to the calming, softer nature of this season’s palette. The rich burgundy color with hints of blue and cool charcoal gray accents make the shingle color Merlot the perfect companion to Fiesta. The things that inspire us are around every corner and they often come when we least expect them. What you can expect is that we will let you know when the next fashion roofing color pairings are out. Just subscribe below. There was an error submitting your form. Please try again later. There was an error submitting your form. Email is invalid. There was an error submitting your form. Email cannot be empty. 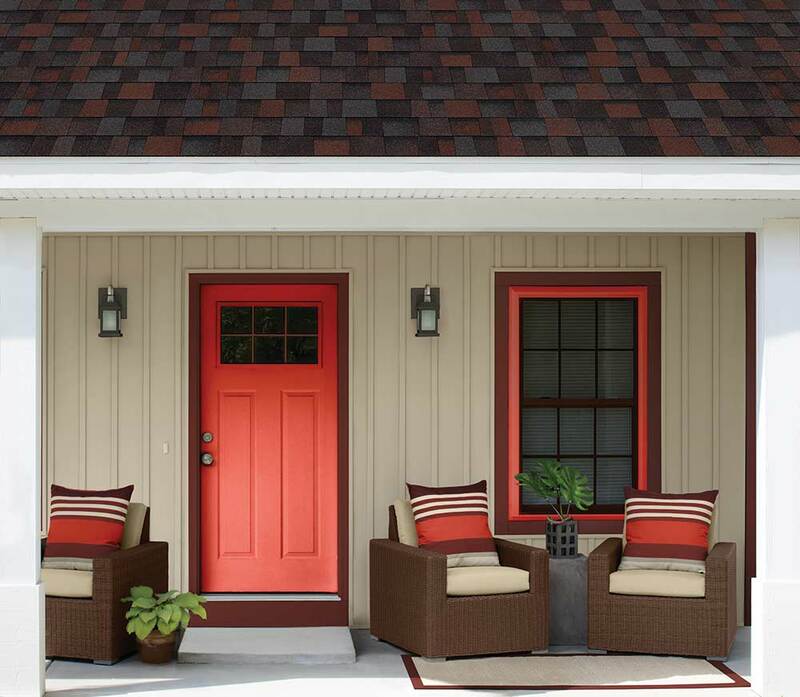 Let Owens Corning help provide inspiration for your home’s exterior design. We’ll keep you posted on the latest roofing fashions and other information. Simply fill out the form below. Thank you for subscribing. Be prepared to be inspired—we’ll send you the latest roofing design materials as they become available. Like Merlot but not a fan of this color pairing? Don't worry, we've got you covered. None of these colors fit your fancy?